For the past three decades, fashion brands have perfected the art of manufacturing cheap clothing by relying on poorly paid labor in developing countries, inventing inexpensive plastic-based materials, and increasing the speed of production. And because most brands project what customers will want to buy six to nine months in advance, designers rarely get their predictions right. There are always some looks that nobody wants to buy. When brands churn out thousands of new looks every season, the problem of unsold inventory just scales up. The New York Times reports that a power plant in Vasteras, the Swedish town where H&M launched, relies partly on burning products that the company cannot sell as a fuel source. Churning out so many clothes has enormous environmental costs that aren’t immediately obvious to consumers. But it is becoming increasingly clear that the fashion industry is contributing the the rapid destruction of our planet. A United Nations report says that we’re on track to increase the world’s temperature by 2.7 degrees by 2040, which will flood our coastlines, intensify droughts, and lead to food shortages. Activists, world leaders, and the public at large are just beginning to reckon with the way the fashion industry is accelerating the pace of climate change. Brands have a responsibility to produce less, and consumers have a responsibility to consume less. A smattering of startups are already trying to move toward this model, which involves rethinking the fundamentals of the fashion industry, from the way that clothes are designed to how they are priced, and convincing consumers that buying less can be just as satisfying as buying more. One thing is clear: The fashion industry is helping to propel climate change. And it’s got to stop. 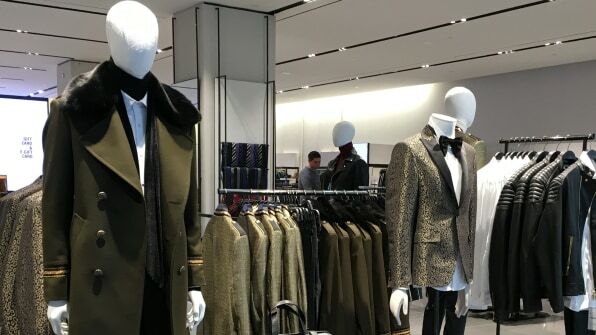 Consider H&M’s great bonfire of 2018. 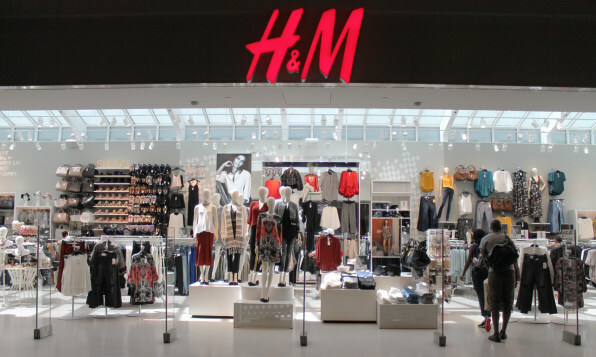 The fast-fashion giant had $4.3 billion worth of inventory that was unsellable. Bloomberg reported that the company had acquired this enormous pile of clothes after months of markdowns, but the clothes just weren’t selling. Each piece of unsold inventory requires raw materials and human labor to make, plus transportation to ship it around the world, which produces emissions. Every piece that ends up being burned produces greenhouse gases, too. Incinerating clothes releases 2,988 pounds of carbon dioxide per megawatt hour, which is even more than burning coal (2,249 pounds per megawatt hour) and natural gas (1,135 pounds per megawatt hour). These deep discounts aren’t much better than incineration. They shift unwanted inventory from a company’s warehouse to the customer’s closet. This encourages buyers to see those garments as valueless and disposable. It’s no shocker when that item–which nobody wanted to buy at full-price–ends up in the trash, or at Goodwill, where it will likely end up in a landfill or an incinerator a few months down the line. Over the past few years, I’ve reported on brands making changes to mitigate their environmental damage. Adidas is eliminating virgin plastic from its supply chain. Levi’s is reducing water waste. Nike is moving to 100% renewable energy. I don’t want to dismiss these efforts: They’re all small steps in the right direction. But the real, underlying issue here is that brands are producing way too many clothes–and they’re convincing customers that it’s normal to buy way more than they need. For the past few years, we’ve pointed the finger at fast-fashion brands like H&M, Zara, and Forever21, saying that they are responsible for this culture of overconsumption. But that’s not entirely fair. The vast majority of brands in the $1.3 billion fashion industry–whether that’s Louis Vuitton or Levi’s–measure growth in terms of increasing production every year. This means not just convincing new customers to buy products, but selling more and more to your existing customers. Right now, apparel companies make 53 million tons of clothes into the world annually. If the industry keeps up its exponential pace of growth, it is expected to reach 160 million tons by 2050. I’m not exaggerating when I say that making so many clothes is destroying the planet. Decades of discarded clothes are literally clogging up our oceans and landfills. In the United States alone, we send 21 billion pounds of textiles into landfills every single year, and since most modern clothing contains some plastic-based fibers, they will never decompose. And speaking of plastic pollution, synthetic fabrics that get swept into the oceans live there forever, choking animals that mistake them for food. 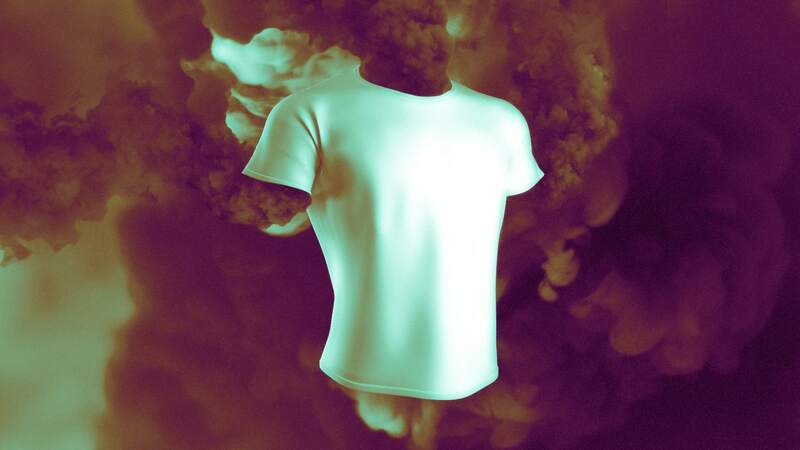 The fashion industry currently relies on 98 million tons of oil to make synthetic fibers; it contributes 20% to the world’s water pollution thanks to toxic dyes; and it generates 1.2 billion tons of greenhouse gases. The current state of the fashion industry is not working for consumers, or even the brands themselves. Making too many clothes led to massive growth as fashion companies (and their shareholders, if they have them) convinced consumers to buy more and more. But in the process, it has also driven down prices, diluting their brands and wasting a lot of inventory every season, which chips away at profits. I’m not suggesting that fashion companies stop trying to run successful businesses. But this race to the bottom has left an opportunity for smaller brands to experiment with a new value proposition–one that suggests selling customers clothes they don’t really need is not the only way to grow a fashion brand. Several startups that have launched over the last couple of years are offering clues about alternatives to the fast-fashion model. These brands, while still small, are making durable clothes and accessories designed to outlast any given fashion trend–and crucially, they’re differentiating themselves to consumers in ways that fast fashion brands cannot. Cuyana, whose tagline is “fewer better things,” is one; the company’s founders, Karla Gallardo and Shilpa Shah, believe in doing extensive focus groups and consumer research to create long-lasting and versatile products that respond to a clear need in the market. The brand’s website encourages women to think carefully before making purchases. One email to customers recommends a list of practical investment pieces, while another preaches the value of intentional buying. Sure, these are ways to help customers feel more comfortable about buying a $475 work satchel or $125 wallet. But Cuyana is also promoting “conspicuous conservation,” or the notion that buying less can signal how enlightened a consumer is. This goes against years of fashion marketing that pushes the opposite message of conspicuous consumption, and the notion that wealthy, sophisticated people have access to unlimited clothes. Convincing women to buy less has not hurt Cuyana’s bottom line. While the eight-year-old brand is hard to compare to fashion giants, it recently announced that it was profitable. Earlier this month, it unveiled a $30 million round of funding that will bankroll its expansion in the U.S. Gallardo says that customers tend to buy fewer items whenever they make a purchase with Cuyana, but the repeat purchase rate has been much higher than the industry average, and the lifetime value of the customer is significantly more than other fashion brands. Other brands are taking a similar approach. Take Ammara, which makes versatile women’s blouses from high quality, long-lasting materials. Founder and creative director Ammara Yaqub focuses on designs that can be worn anywhere, from work to dinner to a party, in neutral colors that are meant to endure season after season. Senza Tempo, another women’s fashion label, also focuses on creating classic, versatile dresses in neutral colors that are designed to last a lifetime. Founder Kristen Fanarakis sends out regular emails encouraging women to think about buying outfits in terms of the “cost per wear”and offers advice about creating a signature style, like buying a uniform to wear year after year. Many of these companies sell items with a warranty to back their claims up. These startups are under a decade old, and they’re still small compared to enormous conglomerates like H&M, Gap Inc., and Inditex, which owns Zara. It’s hard to judge how successful their business models will be as they continue to expand into the wider market. Most of them sell products at higher price points, which the average Walmart or Forever 21 shopper likely can’t afford. As they grow and take advantage of economies of scale, they may be able to sell slightly less expensive products, but never at the rock bottom prices we’ve come to expect from fast fashion. But one thing is for sure: These startups are growing while fast-fashion brands are on the decline. Their focus on marketing durability and timeless style hints at a sea change among consumers, who appear to be tired of the status quo of large companies competing on price while compromising on quality. Time will tell if fashion giants will realize there’s money to be made in selling fewer but better products. Not only would we be more more satisfied with our clothes–we’d be preserving the planet on which we wear them.